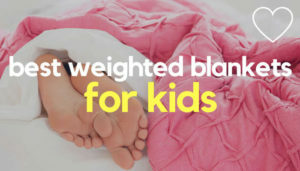 Welcome to Weighted Blankets For Kids. 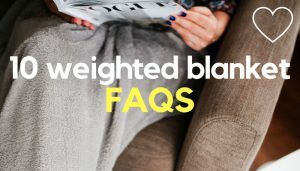 I’m Sarah and I set up this site as a resource for parents looking for information about weighted blankets for children (or adults) with autism, ADHD, SPD, anxiety or sleeping difficulties. As a mother to a wonderful daughter, I know how hard it can be, sometimes, to help our kids calm down and drift off to sleep. 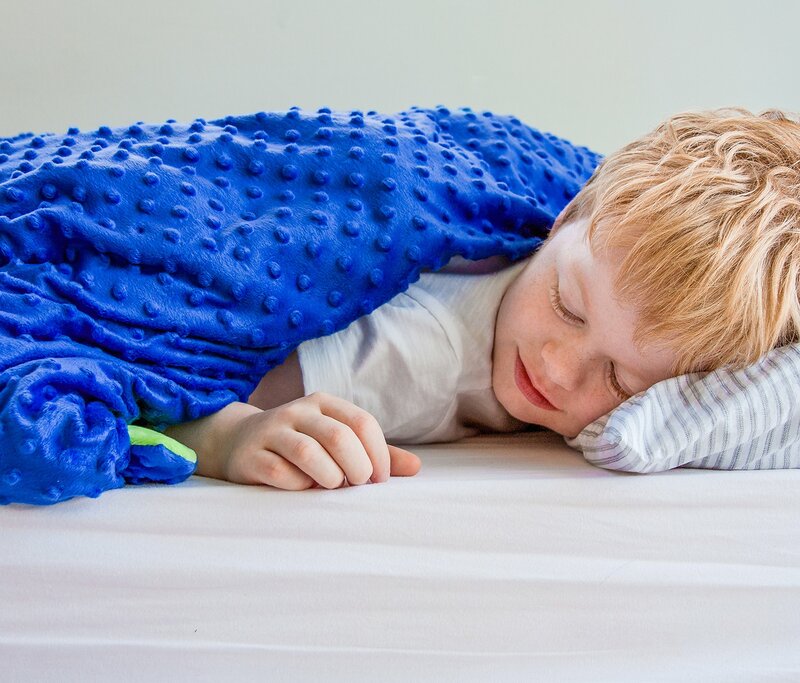 We live in a hectic, often over stimulating society and research suggests more and more children are finding it challenging to get a quality night’s sleep. With so many pulls on their attention these days – from school or peer pressures to TV, adverts, social media, Smart Phones and computer games – many children simply find it and to calm down and settle at night. More and more kids are also being diagnosed with anxiety and conditions such as autism, ADHD and ADD, which are often associated with symptoms of poor sleep. 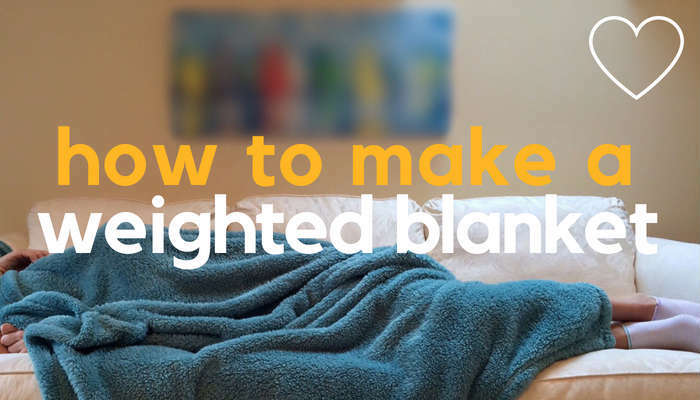 A weighted blanket is a blanket that is heavier in weight than a regular blanket. 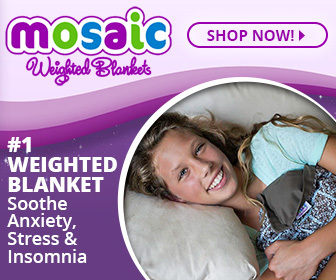 It usually contains beads that are evenly distributed across the blanket, which work collectively to apply gentle pressure on the body of children (or adults) with sleeping issues linked to autism, ADHD, SPD, anxiety or other disorders. 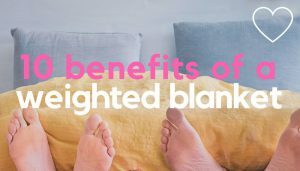 Many children and parents find weighted blankets an effective (some say miraculous) calming tool for sleep, since the pressure of the weighted blanket provides proprioceptive input to the brain, by releasing the hormone serotonin (sometimes called the ‘happy’ chemical!). As the precursor for melatonin, serotonin works to help regulate the body’s sleep-wake cycles. Serotonin is completely natural and helps calm and naturally sooth the body, helping it get ready for sleep. 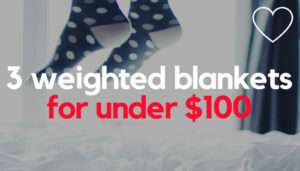 Medical Disclaimer: Please note, the information on weightedblanketsforkids.com is intended for research purposes only. I am not a medical professional and the information on this site is not intended as, or implied to be, a substitute for advice or treatment from a registered healthcare or medical professional. 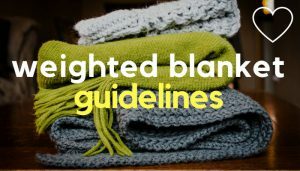 If you are experiencing a health condition, or are unsure whether a weighted blanket is suitable for you, or another, please consult a registered occupational therapist or medical professional.